I rarely (I mean almost never) go out of my way to endorse a product of any kind but while considering the upcoming holidays I came across this link I saved a while back. I think it would be perfect for the workshop and is a work of art in its own right. I can imagine it over my new workspace or even hanging on the wall in the den to be pondered while dreaming of building something worthwhile. It’s called the Chart of Hand Tools from the Pop Chart Lab, “printed using 100 lb archival recycled stock certified by The Forest Stewardship Council, this poster is pressed on an offset lithographic press in Flatlands, Brooklyn.” Sounds good so far and I love how they are actually grouped in logical sets by basic function. That satisfies the analyst in me. Click the image for a larger version or the link to get yours today (or to send me one!). 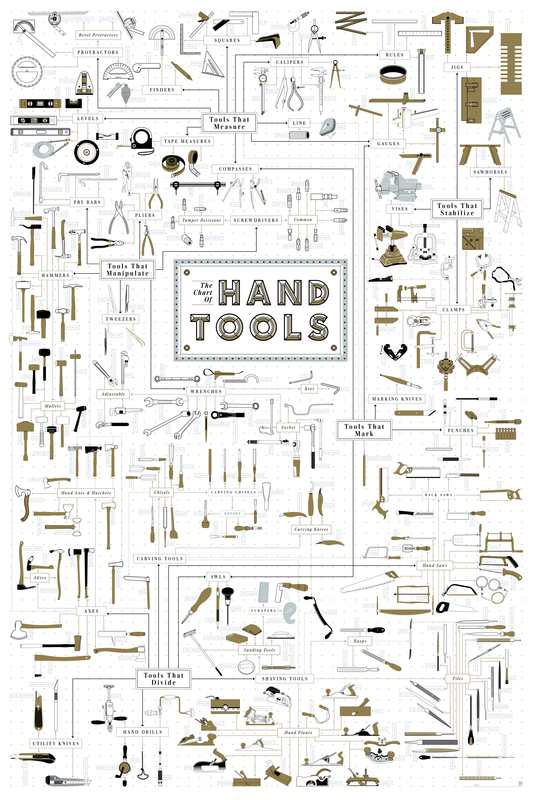 “With over 300 meticulously illustrated tools this chart celebrates the tinkerers and the doers: those who build, repair, and create. Breaking down all manner of hand tools by their basic function, this sprawling print covers the most basic, such as the humble yet mighty hammer, to the most highly specialized, such as the 24 types of files depicted here. A hand-crafted compendium of ingenious and essential devices, this chart is a complete cut-list of the tools that empower makers and artisans. —And the chart is printed with brass and aluminum metallic inks to give it a shop-ready sheen. Each print is signed and numbered by the artists, and comes packaged in a Pop Chart Lab Test Tube. At $37 U.S. it seems like a great addition to any Maker’s house. 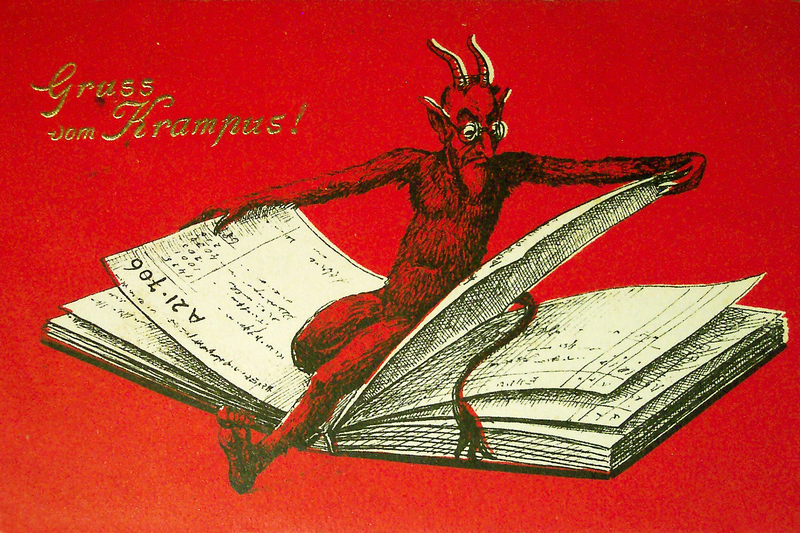 I hope my own Santa Claus or Krampus drops one off at the shop this winter. I better start being good for the Yule-tide season.